The Best Summer Toy! Great Sand & Water Toy! Your Kids Will Love These Beach Balls! Whether You're Enjoying A Day At The Beach Or By Your Swimming Pool At Home These Beach Balls Will Make It A Hit!! Great For Schools, Summer Camps, Lake & Ocean Play, Pool Parties, Beach Parties, Adult Fun & Festivals And Much Much More!! 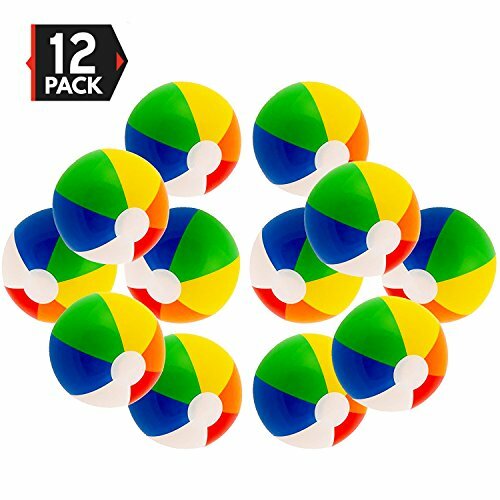 Beach Balls Sold And Measured 16" Deflated - 12 Per Package!